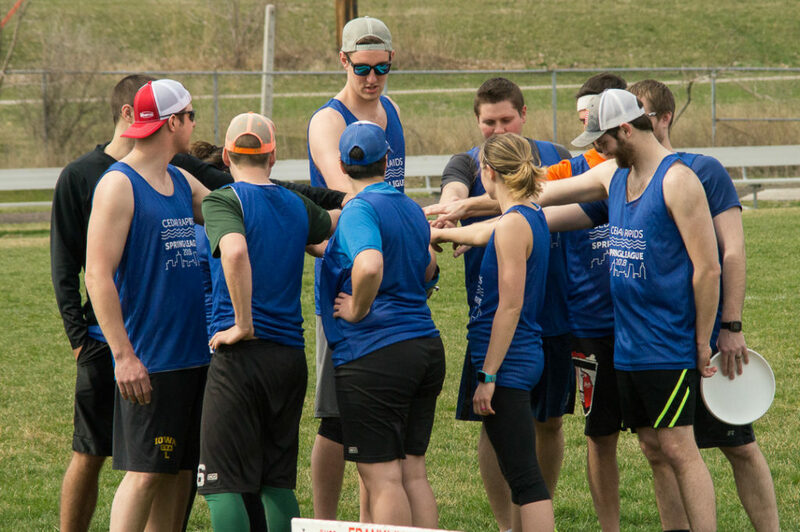 We’re back hosting our 2nd annual Cedar Rapids Spring League! Deadline: Teams will be drafted on March 31st. However, we will continue accepting registrations until April 8. You may not receive a team jersey if you register after the draft. The questions we ask in the registration form below gives us some vital information to help us formulate teams. These details include your playing experience, your willingness to be a captain, and the name of one person you’d like to ensure is on your team (the name you put must match the name they put to ensure you are on the same team). If you have any questions, please email us at cedarrapidsultimate@gmail.com.